This is a superb Ladies Royal Sunbeam. The paintwork and components are all original and unrestored, yet in great shape for a 93-year-old machine. It has two-speed epicyclic gears with the correct gear-trigger on the handlebars. 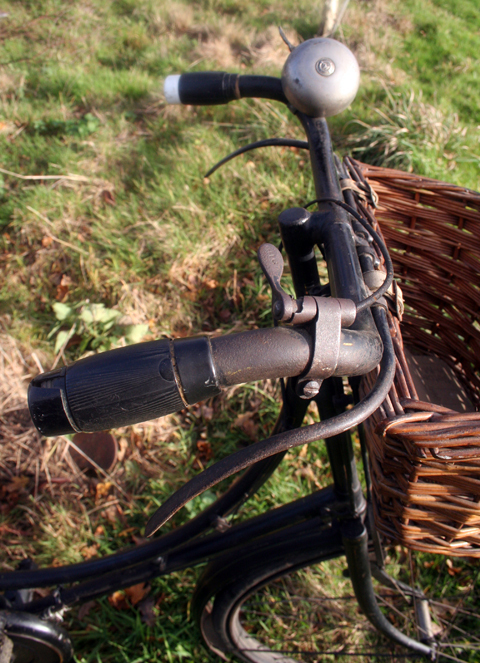 The only thing missing on the bicycle is the correct plugs for the ends of the handlebars, where they are hollow to fit the repair outfit (see catalogue description further down the page). 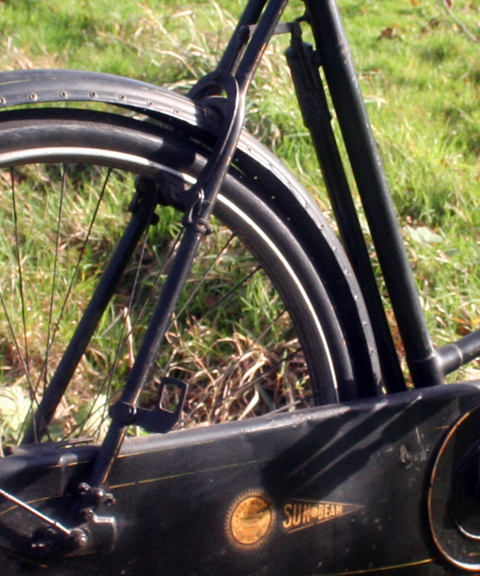 They often fell out of the old Sunbeam handlebar stems, to be replaced by beer bottle tops (see below). 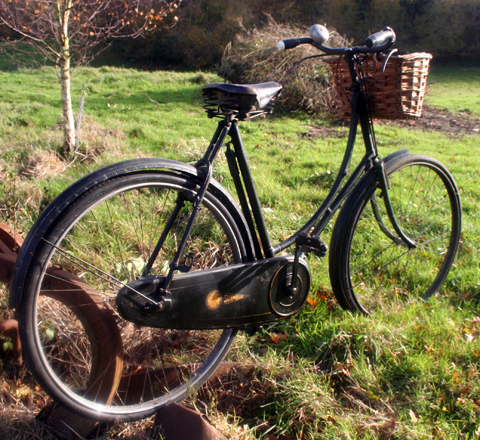 Riding 95-year-old bikes is like ‘time travel.’ If you’re out in the countryside, for example, most of the surroundings haven’t changed too much. Of course, it’s not a good idea to ignore cars when they’re sharing your road-space, but if you can ‘forgive their presence’ and imagine the road to be car-free it’s easy to appreciate how folks travelled all those years ago. Obviously if they rode Sunbeams, folks would have been well-to-do, as a Sunbeam was (and still is) the ‘Rolls Royce’ of the bicycle world. In this period, bicycles were still the preserve of the rich. Motorcycles and cars were not yet produced in sufficient numbers, nor cheaply enough, to bring down bicycle prices so that ordinary people could use them. And the suffragette movement was still campaigning at this time for women’s rights. Female ownership of a bicycle – and the independence that one’s own bicycle afforded – was still a novelty. Pictured here with the 1916 Royal Sunbeam Lady’s Bicycle. This is an ideal ‘His & Hers’ Pairing of Royal Sunbeams. 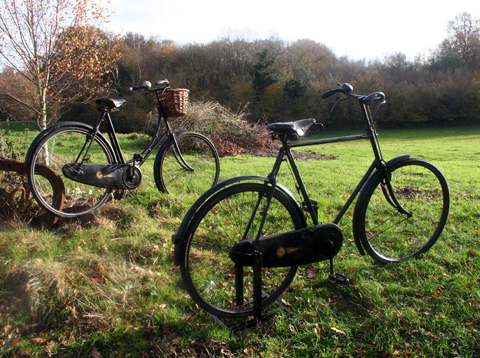 I’ve now had both of these Sunbeams serviced, and new tyres and tubes have been fitted. 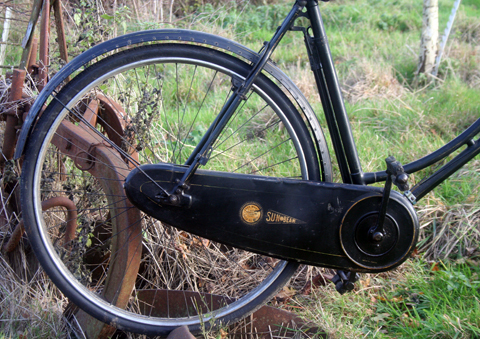 The design – and the price – of Sunbeam bicycles remained static during WW1, with prices only increasing in 1917. 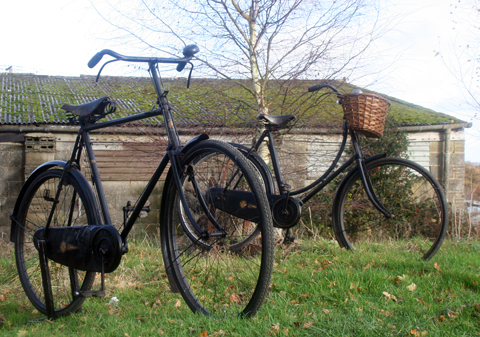 So the cost of the all-black Ladies Royal Sunbeam with 2-speed gear remained at 13 guineas, ie £13 13/- in 1916.